BIMCO has today announced that it has taken ownership of the unique Shipping KPI System that allows shipowners and managers to compare their ships' efficiency against the performance of the industry and sector averages. 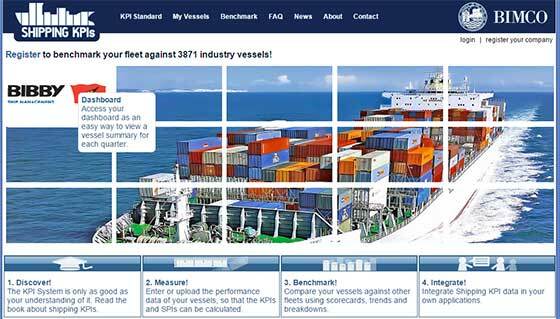 The Shipping KPI System is unique because it is based on a standard of 64 different performance indicators (such as ship unavailability and number of environmental related deficiencies) to allow the most specific and accurate comparison of ships - within each sector and more broadly across the industry - that is currently available. The data collected is anonymised, so it does not compromise commercially sensitive information. BIMCO will take ownership of the system from today and has also announced that the system's ongoing development will take into account the broader needs of shipowners and operators, as well as managers, as part of the continued development of the KPI standard. BIMCO will provide the Shipping KPI System free of charge to its members (aside from a nominal set-up fee for new users), and will run the tool for the entire industry on a not-for-profit basis, focusing on the value of the tool for the industry. Angus Frew, Secretary General of BIMCO, said: "The shipping KPI system is unique and valuable to our industry - and we will ensure it continues to be run by industry for industry. "We will seek to ensure that it becomes the indispensable and trusted tool of all ship owners, operators and managers, allowing them to benchmark and monitor their company and ship performance to drive improvements- without compromising their commercial data." Philippe Louis Dreyfus, the new President of BIMCO said of the system: Accurate benchmarking requires data - and the participation of many shipping companies is crucial. BIMCO is uniquely placed to make this a success, by having the largest membership of any international shipping association - and the trust and recognition across the industry globally." Initiated in 2003, the system was developed by a cross-industry group of experts, led by InterManager - the international trade association for the ship management industry - and working with the Norwegian Research Council, consultants Marintek, and maritime IT specialists SOFTImpact and overseen by an independent KPI Association since 2011. Kuba Szymanski, Secretary General of InterManager and part of the core development team for the system, said:"The KPI system was born out of a need for an international system to define, measure and report on operational performance in an effort to respond to society's increasing demands. "I am delighted to see that SOFTImpact is staying with the project and I have full confidence that maintaining this continuity will ensure its continued success."